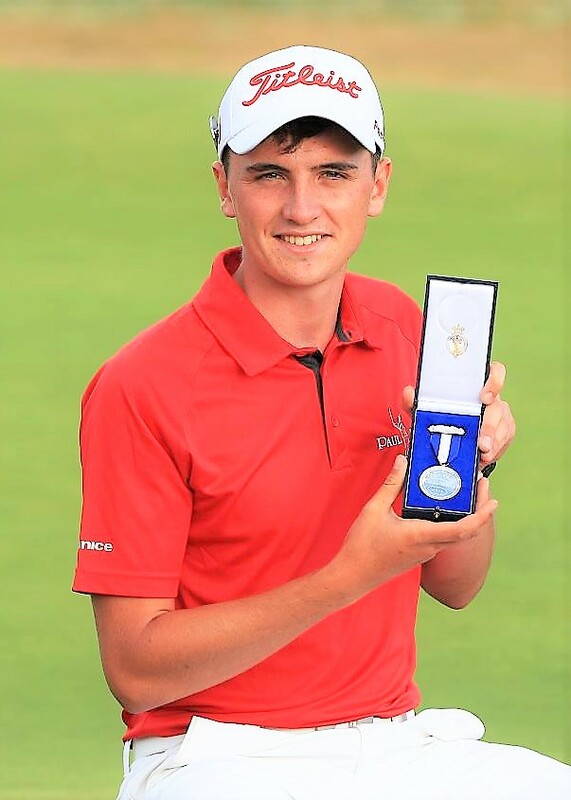 It’s been a whirlwind few weeks for Sam Locke and he can now barely contain his excitement ahead of making his professional debut at this week’s Swedish Challenge hosted by Robert Karlsson. The 19-year-old eventually finished tied 75th after a closing seven over par 78, due to what he describes as a ‘poor back nine,’ but he was just two over par after three rounds at the notoriously difficult Carnoustie links, alongside Shubhankar Sharma and above the likes of Paul Casey, Brooks Koepka and Henrik Stenson, to name a few. After following in the footsteps of some of the world’s best players by winning the Silver Medal, Locke is now focussed on forging a career in the professional ranks, starting this week at Katrineholms Golfklubb on the European Challenge Tour. “I’m really excited for my first event as a pro and I can’t wait to get going,” he said. “The course is great, it’s in lovely condition and I really enjoyed playing today, roll on Thursday. “It’s my first professional tournament so I’m just coming in and trying to do the best I can and try my hardest. Wherever that leads me, then what will be will be. “It’s a good feeling to be the top amateur in the Open and to make the cut. I had a poor finish there; the back nine on Sunday wasn’t great but you learn lots from that and you take that into this week. I’ll be aiming just to enjoy it and do the best I can. Locke is the reigning Scottish amateur champion, and he could have opted to defend the title at Blairgowrie this week before making the switch from the amateur ranks, so why take the decision to turn professional now? “I just felt now was the right time and I just feel like I dealt with things well at The Open,” he said. “I really enjoyed the fact that there were lots of crowds and media and things; I just enjoyed the whole professional feel. “I thought now was a nice time because of things that come with winning the Silver Medal. I’ve always wanted to turn professional but that obviously accelerated it. “It was a decision taken with family (his father Andrew is a coach at the Paul Lawrie Golf Centre). Locke is a product of the Paul Lawrie Foundation, who aim to get as many youngsters as possible playing golf, and the 1999 Open champion offered Locke some advice ahead of his first professional outing. “Paul’s obviously given me some advice and you’ve got to treat it as any other tournament,” he continued. “I’m going to have to get used to it; I’m a professional now and I just can’t wait for all the tournaments coming up. Joining Locke in a strong field in Sweden this week are Road to Ras Al Khaimah leader Joachim B. Hansen, two-time Challenge Tour winner Oscar Lengden and tournament host and European Ryder Cup vice-captain Robert Karlsson. The action begins at Katrineholms Golfklubb at 7.30am local time with Filippo Bergamaschi, Nathan Kimsey and amateur Oliver Gillberg first off.